Imagine the scene of a large convention hall hosting several thousand pilots. The floor of the convention is awash with the sounds of 10,000 individual conversations as attendees discuss the many issues facing general aviation. Lots of buzz and energy, plenty of great ideas, but not much unified forward progress. Now visualize that same scene when the organizers of the convention pick 10 "leaders" with strong opinions to come to the center of the stage, step up to the lectern and begin speaking into a very expensive microphone on various topics. As these leaders present their ideas over speakers that flood the hall with sound, suddenly, the sea of people on the convention floor shifts their focus to the stage, and with almost pinpoint accuracy, the speakers capture the attention of the audience long enough to make some important points. With any luck at all, the jumble of ideas previously making up so many individual conversations will be refined down into just a few very important topics that everyone can begin discussing. Knowledge is power, and when everyone is reading off the same page, the chances for forward progress improve substantially. That, my flying friends, is what AOPA's new Opinion Leaders blog is positioned to do. 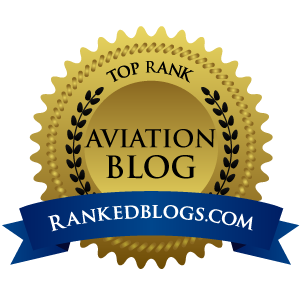 This exciting new blog will bring the aviation family together to make sure some very important GA issues remain "top of the mind" so we can all begin working to improve the current state of affairs for aviation now, and for the future. With their new Opinion Leaders blog, AOPA is presenting 10 well-read bloggers, writers, speakers and industry stars who will each present their ideas in niches that are close to their areas of expertise. These writers come from all corners of the aviation family, and as is the case with any debate, not everyone will agree with everything they all say. But with such a high level of exposure on AOPA.org, the Opinion Leaders will be able to at least get the conversation started. And I am very, very proud to be included in this group. Jamie Beckett is a self-proclaimed "passionate promoter of all things aviation" who focuses his attention on the positive more often than not. Beckett brings his experience as president of Florida’s Polk Aviation Alliance to the blog, and is committed to working to build a growing pilot population as well as a greater appreciation for general aviation nationwide. Amy Laboda, an ATP-rated pilot with multiple flight instructor ratings, enjoys flying her two experimental aircraft and being active in the airpark community in which she lives. Laboda has been writing, editing, and publishing print materials for more than 28 years on an international scale. Jolie Lucas, a Mooney owner, licensed psychotherapist, and private pilot, is the co-founder of Mooney Ambassadors and the Friends of Oceano Airport and is the vice president of the California Pilots Association. She spends her time explaining aviation to people from all walks of life. Jack Olcott, president of General Aero Co. and past president of the National Business Aviation Association, has his thumb on the pulse of business aviation. He provides a unique insider’s voice into the world of business aviation, not only as a leader who advocates for the industry domestically and internationally but also as a pilot who has more than 8,500 hours of flight time. John L. Petersen, a futurist, strategist, and pilot, admits he’s worried about the future of aviation and ponders whether we’ve already seen the beginning of the end of VFR flying as we know it. The former aircraft-carrier-based naval aviator is also an aircraft builder and author of three books. He founded The Arlington Institute and is the chairman of the Lindbergh Foundation. Dan Pimentel is a leader in the aviation social media realm. 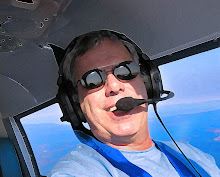 He’s been blogging as Av8rdan since 2005 and writes the Airplanista Aviation Blog. He also leads Celeste Daniels Advertising and Design Inc. as president and art director. Pimentel will write about the passion and enthusiasm" that exists in our close-knit aviation community that often functions more like a family. Rod Rakic is committed to making aviation work better. He’s the co-founder at OpenAirplane, which is dedicated to making flying safer and more useful. Rakic is a digital strategist, professional pilot, and a self-described user-experience nerd with a mission. Ron Rapp, a Southern California-based charter pilot, aerobatic CFI, and aircraft owner, has 6,500-plus hours encompassing everything from homebuilts to business jets. He’s written mile-long messages in the air as a Skytyper, crop-dusted with ex-military King Airs, flown across oceans in a Gulfstream IV, and tumbled through the air in his Pitts S-2B. He brings his voice as a professional pilot to the blog, sticking up for pilots who make their living in the skies. Martin Rottler is a lecturer at The Ohio State University Center for Aviation Studies in Columbus, Ohio. The commercial pilot and certificated flight instructor has worked in general aviation, the airline industry, and international aviation. As a pilot representing the Millennial Generation, Rottler is concerned about the future health of the industry with so few youth getting involved in aviation. Max Trescott is a glass cockpit expert best known for his books on the Garmin G1000 and on instrument flying. The 2008 National CFI of the Year brings that expertise with tips and approaches to improve your flying. I believe AOPA's new Opinion Leaders blog is going to be a big success, based on my experience from being a founding member in the six-writer Blogging in Formation group. Through the use of cross-promotion and plenty of mentions on all the major social networks, every one of us "Formation Bloggers" have seen a spike in traffic to our blogs. I predict the same level of cross-promotion will send traffic to the AOPA site and create much-needed new energy in our quest to right the GA ship. These kinds of new tools in aviation social networking are precisely what GA needs to come together and keep talking about the good, bad and ugly parts of our aviation world. If we all retreat to our silos to watch from afar as any further deterioration of GA occurs, we have nobody to blame but ourselves. But through constant chatter and focused discussions on the topics that directly effect our freedom to fly, we, the aviation family, can begin thinking and speaking as one voice - led by AOPA, EAA and NBAA - on a strategic march down the path to a strong, financially-solid general aviation world. So please keep your eye on the new AOPA Opinion Leaders Blog, get involved, chime in and virtually join hands with your aviation brothers and sisters. Maybe, just maybe, if we can successfully corral all the energy and enthusiasm we pilots have into one driving force, our children and grandchildren will be able to continue the family legacy of chasing hamburgers, poking holes in the sky, and using our private airplanes for all the great things we can do with them today. Your first task in this endeavor is to talk up the new Opinion Leaders blog on every social site you frequent. Tweet it, Facebook it, post it on your favorite forums, send out emails, shout it from a mountaintop! You do not need to agree with everything you will read on the new blog, but if you value your privileges that comes from holding a private or professional pilot's license, it should be considered a mandatory exercise to tell everyone you know about this important new communications vehicle. We need every aviator in this country on the AOPA site reading this blog...no exceptions. Give the Opinion Leaders a few chances to get in there between your ears and give you ideas of ways we all can work as a team to make our aviation world a better place. It's really, really important. Because if you snooze, we lose.